It’s easy to feel jaded about Philippine government and politics, with the corruption, never-ending dynasties, finger-pointing, and inefficiency, among other things not to be proud of. But amidst all this darkness are several stars that stand out. While they aren’t perfect, they still inspire people with their hard work, principles, well-roundedness, and awesomeness as women and human beings in general. 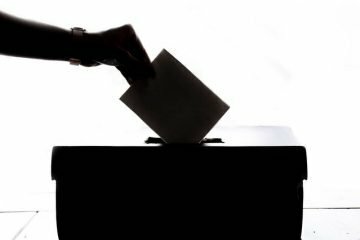 Read on for Filipina politicians we chose who we think have shown great leadership so far, and potential for greater things to come. Rep. Leni Robredo, the pretty lawyer widow of late Interior Secretary Jess Robredo and now congresswoman of the Third District of Camarines Sur, is surely making her late husband proud. Not only did she continue his legacy by being a public servant of the Bicol region, but Rep. Leni has taught and passed on her husband’s principles of good governance (“Matino at mahusay”). She has also supported bills that emphasized transparency and accountability such as the Full Disclosure Bill that requires elected officials to disclose transactions, documents, etc. that are of public interest, as well as the Freedom of Information Bill. 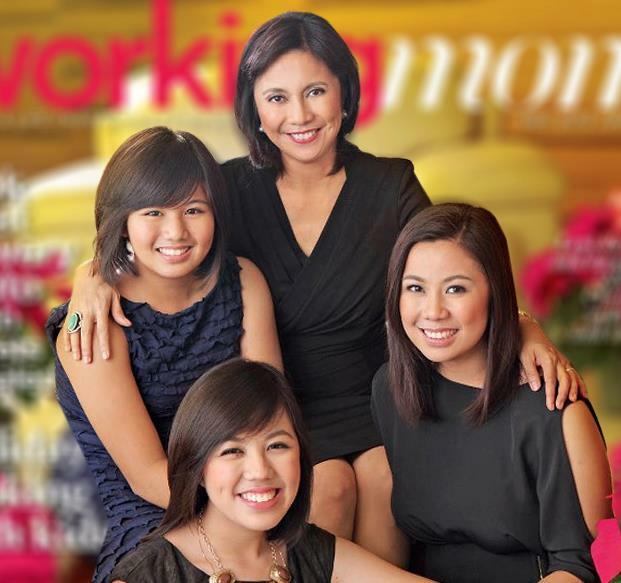 Rep. Leni Robredo with her three daughters or “Powerpuff Girls,” on the cover of a magazine. Photo from her official Facebook page. Rep. Leni is also a well-rounded person, being a family woman, and tending to her three daughters (she calls them her Powerpuff Girls) as much as she can. 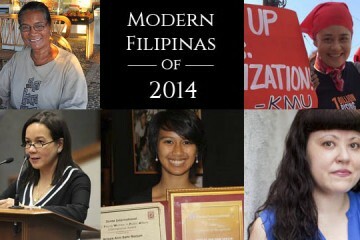 She is also known to be down-to-earth and humble, impressing others when a photo of her waiting for a Naga-bound bus at a Makati gas station went viral last year, showing that public officials are capable of taking public transport. Senator Grace Poe is another newbie politician that has made us women proud. Despite current issues she may face, the senator has a general track record for fairness and integrity, and possesses charisma, which has led to the clamor for her to run for president next year. A former chair of the MTRCB, Poe gave importance to intelligent viewing, as well as the implementation of age-appropriate TV and movie classification system when she held the post. Despite whatever issues she may face now, Sen. Grace Poe has won over people for her humility, intelligence, and–forgive the pun–grace. Photo from her official Facebook page. 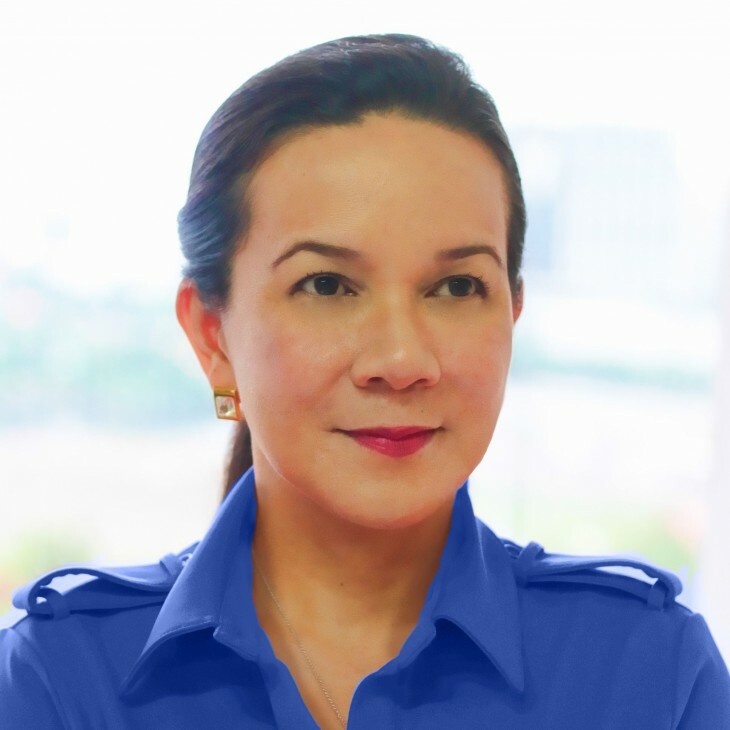 As senator, Poe has been known to be pro-poor, and has filed a bill that creates a standard lunch program for public school kids. 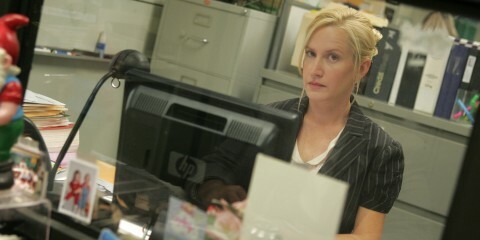 This wife and mother possesses a down-to-earth charm. She endeared herself to the public last year when she tried the MRT for herself, taking note of what facilities needed to be improved and what the experience is like for millions of commuters every day. One of our favorite hats of Sen. Pia Cayetano is her hat as a sportswoman. Photo from her official Facebook page. Another well-rounded, high-achieving woman, this senator is a single mom and a hard-core runner and marathoner (if you see her in races as that tall and pretty woman in running gear); in fact, she has advocacies for sports and fitness. 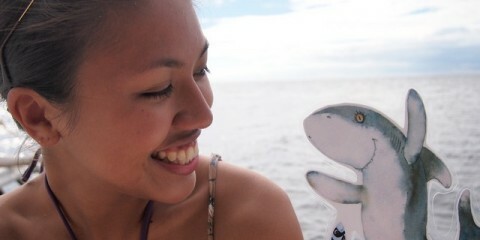 Ironically, this sportswoman is also a food enthusiast. She loves cooking and experimenting with food and owns and manages the resto, Slice, in Bonifacio Global City. There are no words to describe Sen. Miriam Defensor-Santiago. 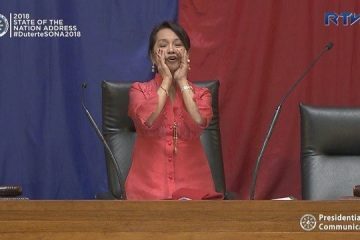 The former presidentiable has always been one of the country’s feistiest and controversial politicians, being famous for her lines that are a combo of intelligent, hilarious, and snarky. (She’s the only public figure we know who can get away with lines like “Any idiot can run for president and possibly poll a certain number of votes among his fellow idiots,” and still be respected and loved at the same time.) In fact, they’ve spawned memes and Facebook pages people just love reposting online. She has even come out with a book that displays her wit, titled Stupid Is Forever, which has become a national bestseller. 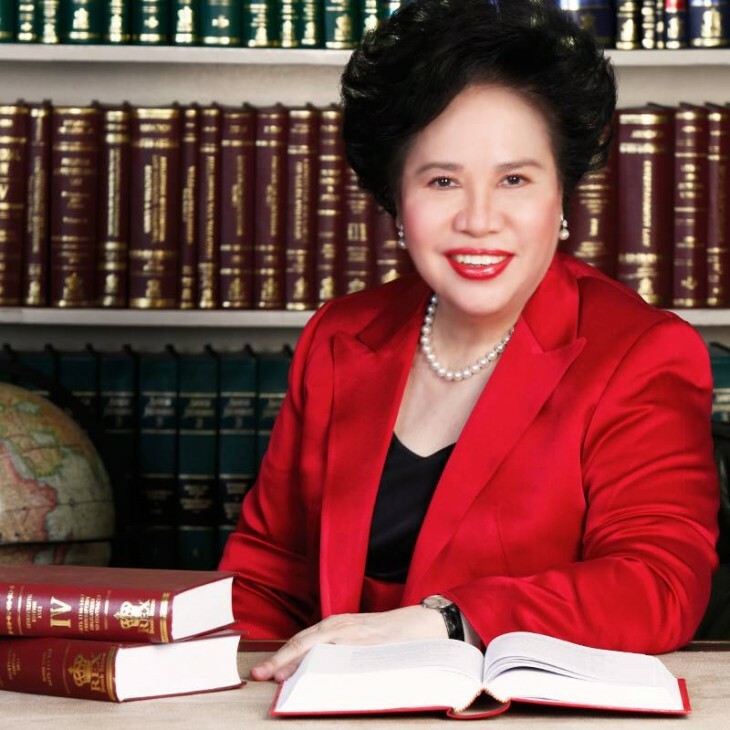 Sen. Miriam Defensor-Santiago in her element, among her law books in this photo. Photo from her official Facebook page. Truly a fighter, she has been combating lung cancer since being diagnosed last year, but being hardworking, she has continued working and filing bills despite her condition. She has in fact, filed the highest number of bills and authored some of the most significant laws in the senate. The current Secretary of the Department of Justice had us commending her for some of her accomplishments, such as making sure that former Pres. GMA didn’t leave the country back in 2011; working on Mary Jane Veloso’s reprieve; and making sure that child abuse isn’t tolerated, such as in the case of the boy who was tied on a leash by his mom and whose photo went viral. 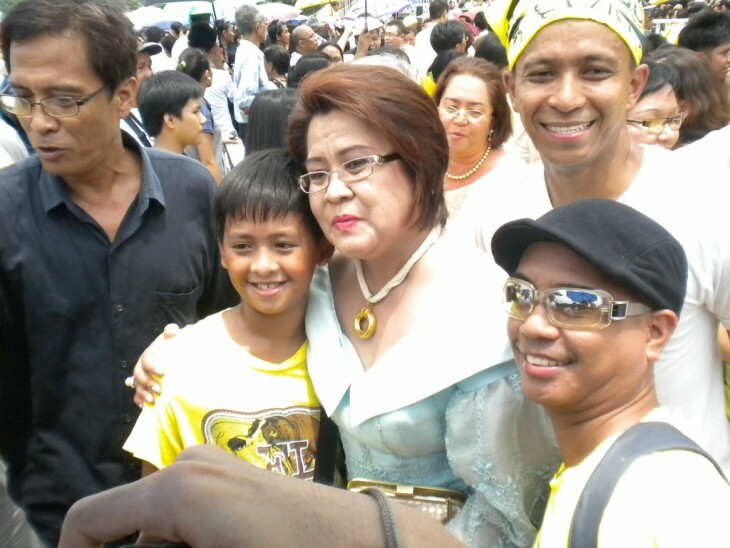 Secretary Leila De Lima with supporters and admirers during an inauguration. Photo by Ederic Eder via Flickr Creative Commons (CC BY-NC-SA 2.0). De Lima has served as chair of the Philippine Commission on Criminal Rights in the previous administration and was also an election lawyer. Born and raised in the humble city of Iriga, this Bicolana is also a mother of two sons, can cook a mean laing dish, and is a dog lover, having Labradors as pets. But while these Pinay politicians occupy some of the highest government positions, we also see a lot of hardworking Pinays in local government units, in government offices, and more. So while we can and do rant about the corruption and inefficiency of our government, let’s also not forget that there are those who are trying to make things better for us all. I agree with sen.grace poe,cong.leni robredo,and sen. Mirriam…but id rather have ombudsman carpio morales and coa chair pulido-tan for sec. Delima & sen.pia C.
Fight of the century! Leni, Grace,Pia,Miriam and Liela VS Juan, like father like sons Jojomar and Jun-Jun, Erap, Jinggoy, Ramon and Son. Undercard and featuring – Smart and Honest Voters vs dumb and corrupt voters who vote like zombies without using their minds, if they have some, who accept stolen monies from Barangay Captains and/or Mayors, Regionalistic Voters, dumb fun who think movies actors are Supermans, Batmans, Captain Marbels, etc. and those who profess they are Good Christians and yet they vote for candidates. who have children from different legal, illegal wives. These kind of voters should be disenfranchised! Wake up Philippines! Please don’t forget to watch those who operate and manage the Pick-up, Pickpocket, PICOP machines during and after the elections!! !